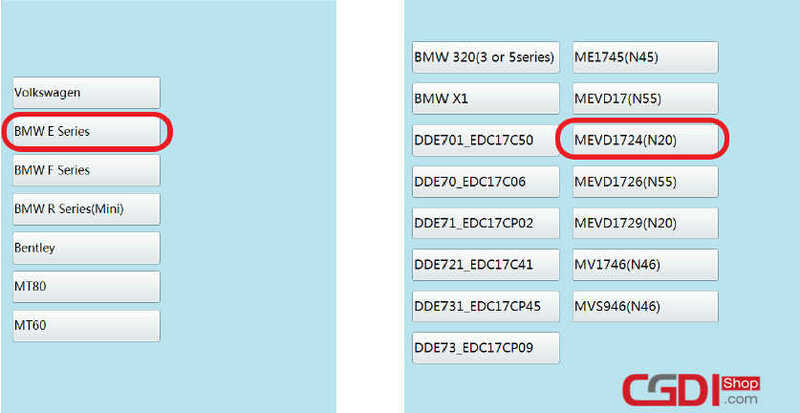 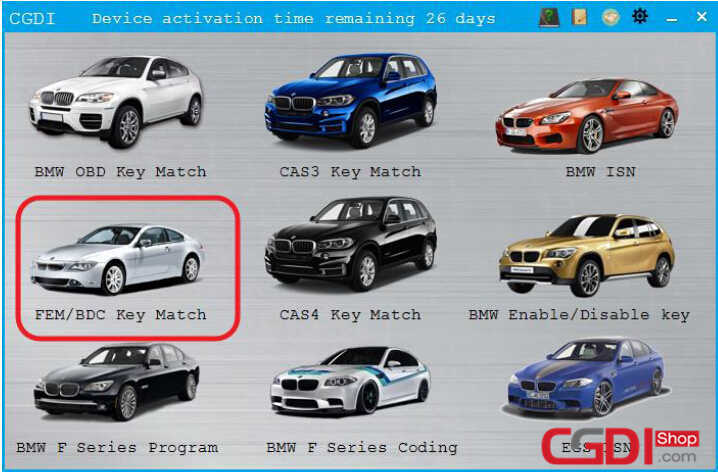 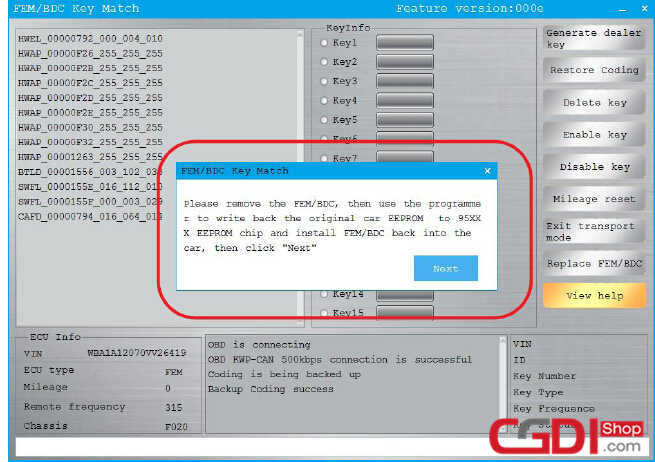 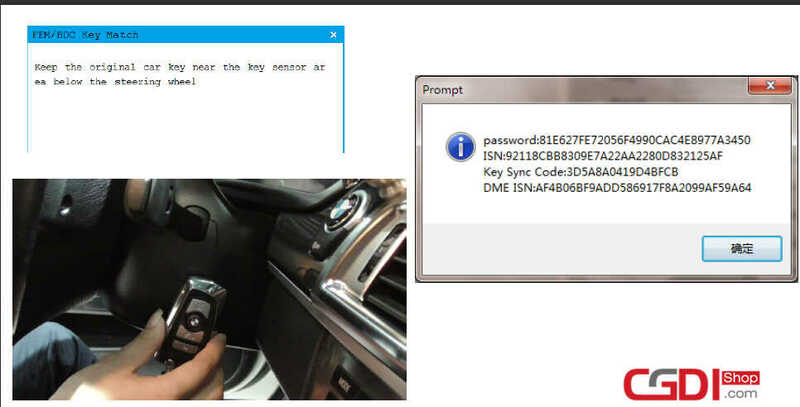 Here comes the guide on BMW FEM/BDC programming via CGDI BMW Prog and CG100.And in this guide,you will get the skills of BMW FEM/BDC new keys adding and all keys lost.Hope this guide will give you a hand!Let jump right in! 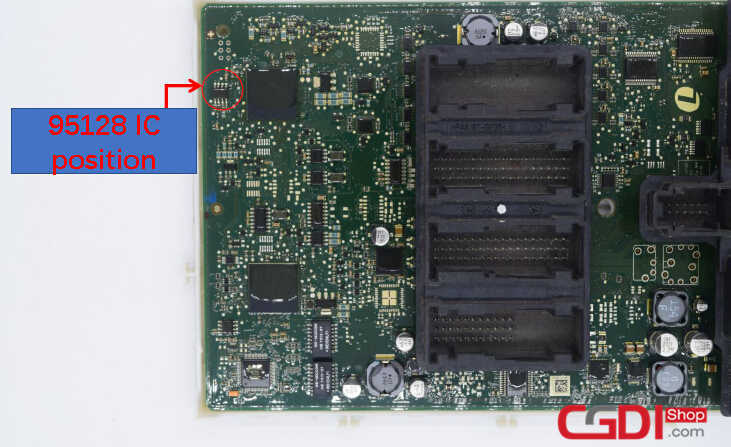 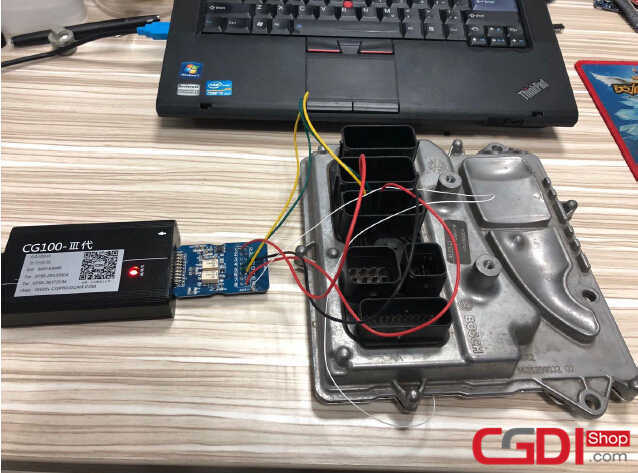 Open the car door,then connect the BMW CGDI Prog to vehicle OBD port. 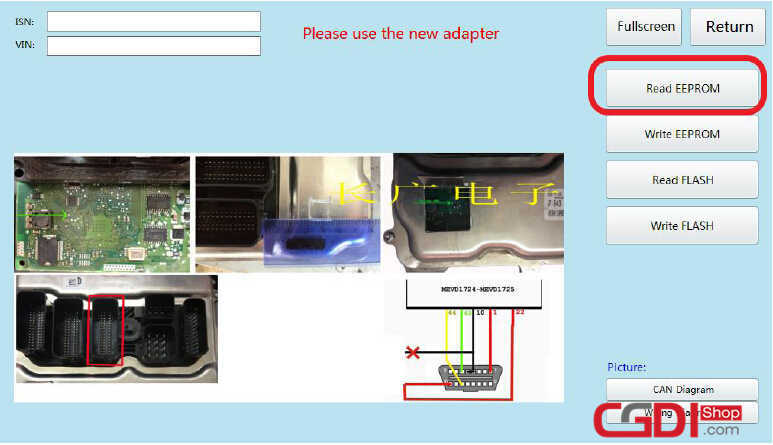 Note:The vehicle maintains voltage above 12V,do not turn off the computer screen during operation. 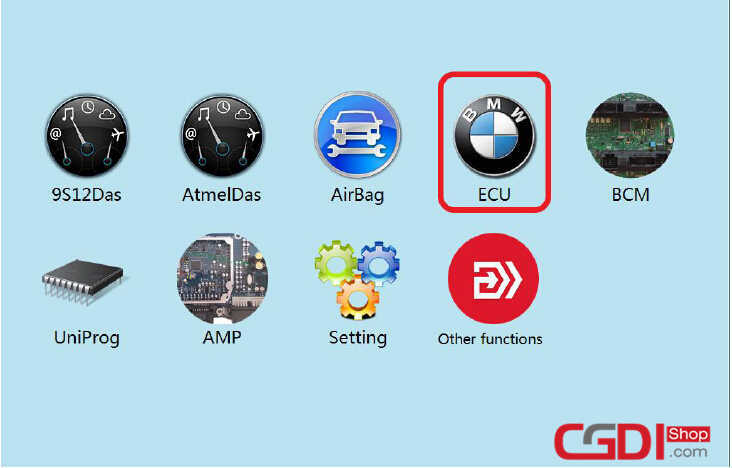 The current FEM/BDC need to update the ECU program before performing key matching.Please ensure that car battery has enough power,the programming process,please keep the epuipment cable connection. 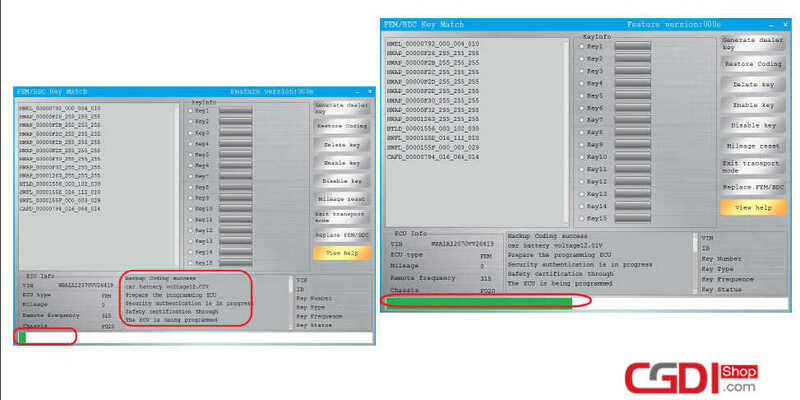 Dissemble the FEM/BDC module and read EEPROM data from 95128 chip. 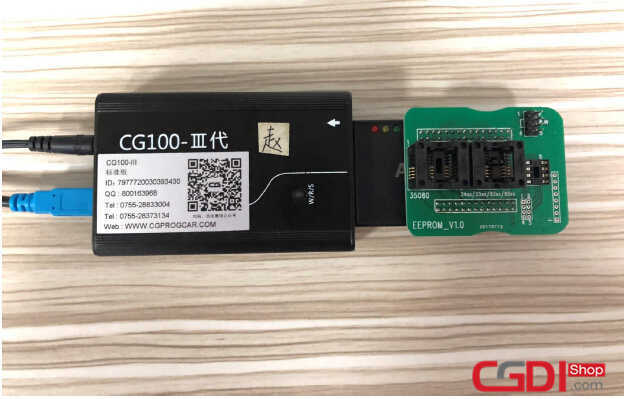 Run the CG100 to read out the EEPROM data and save it on your laptop. 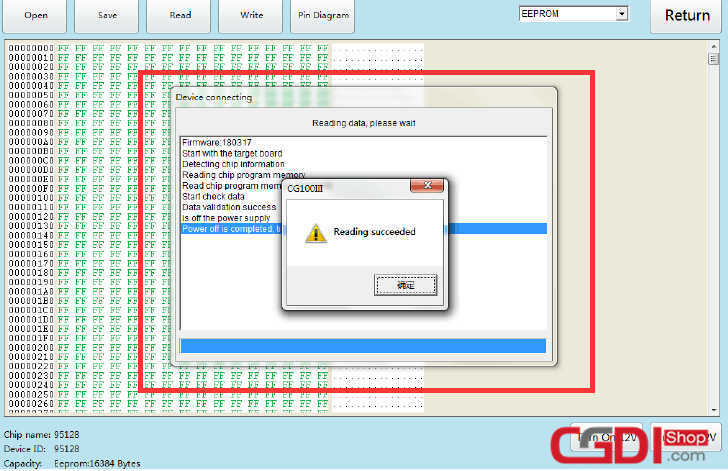 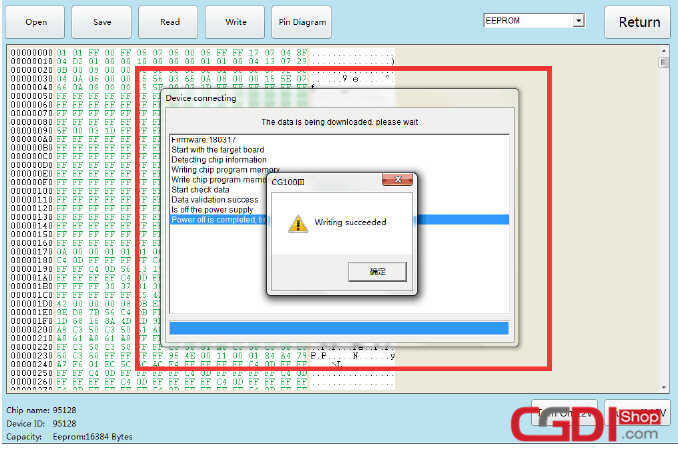 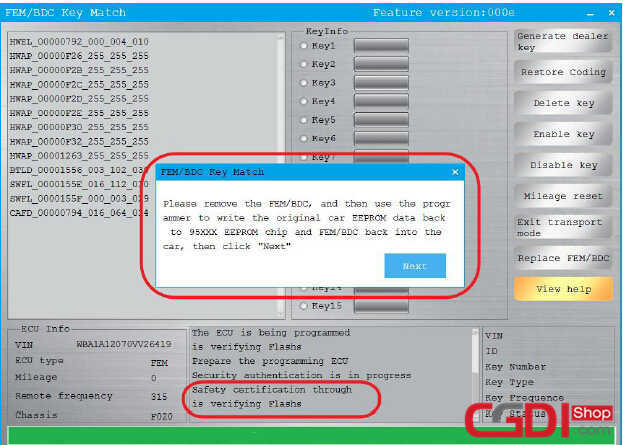 Go back to CGDI BMW Prog software and load the eeprom data read out by CG100 just now. 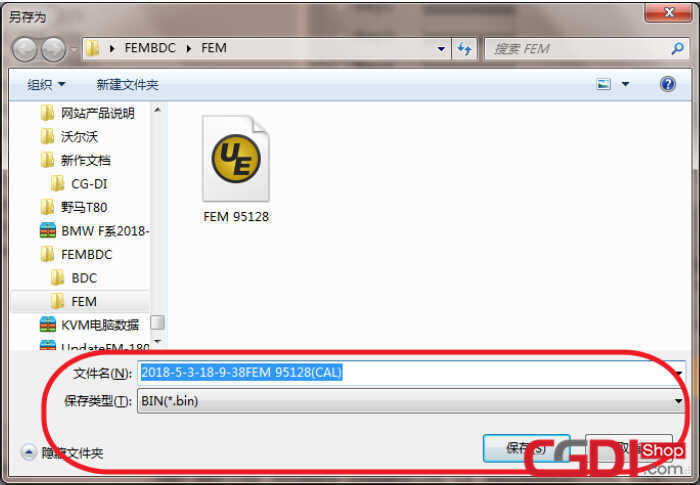 After programming finishing,write back 95128 original data,re-install the FEM/BDC module back to vehicle,and click next. 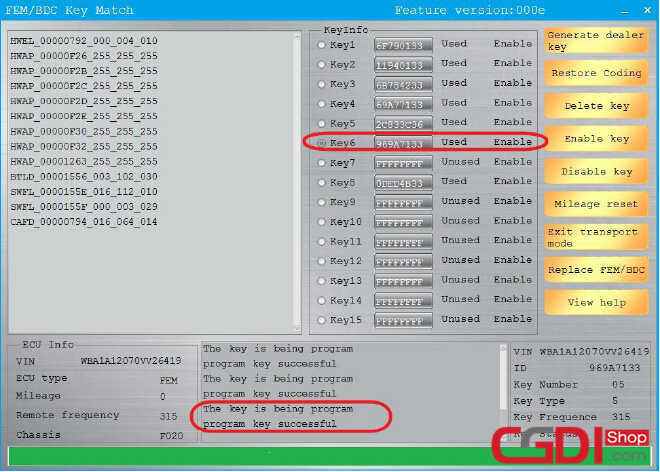 Then after setting code successfully,you can do the add keys and all key lost programming operations. 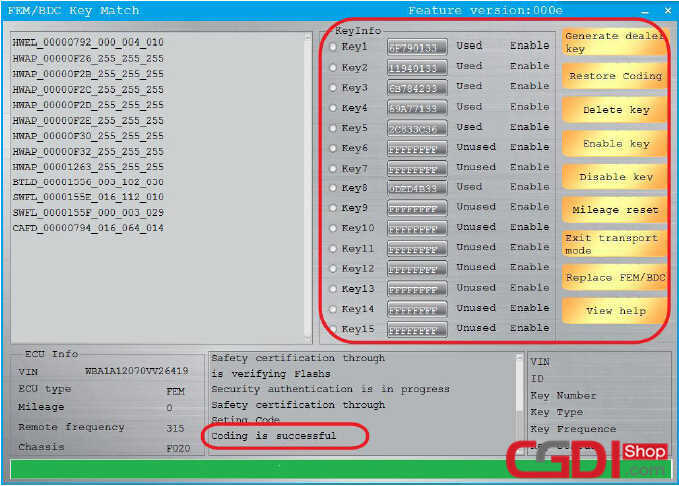 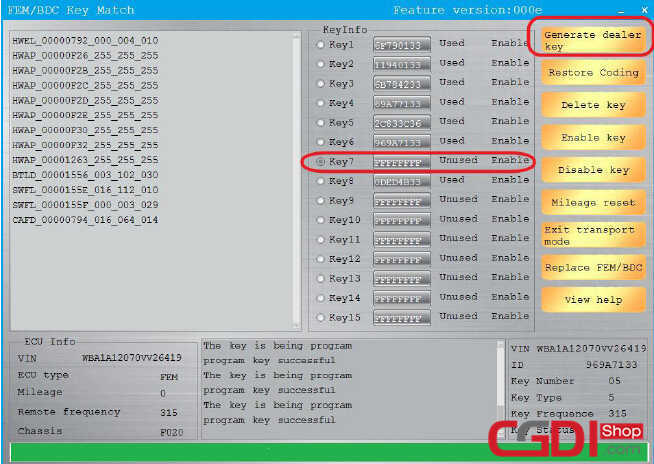 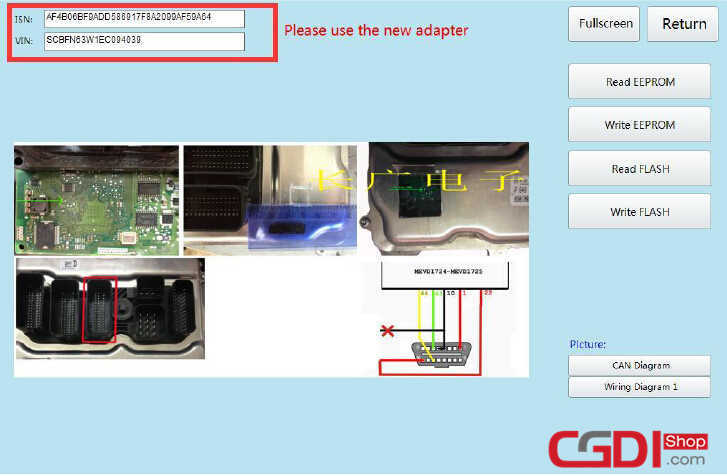 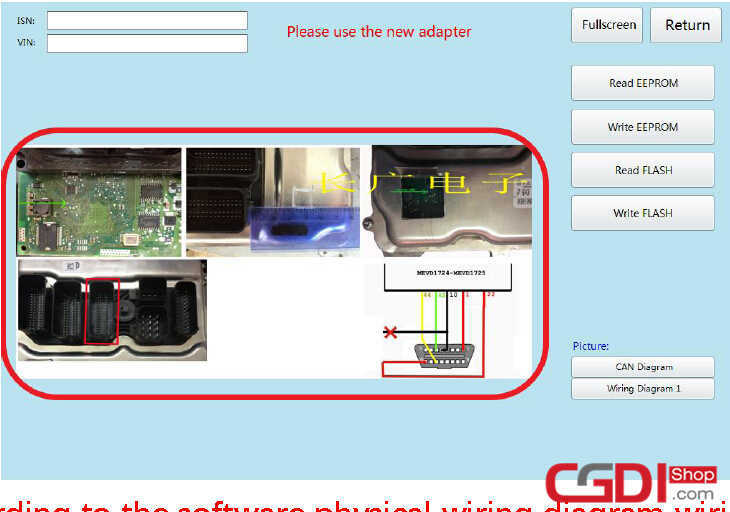 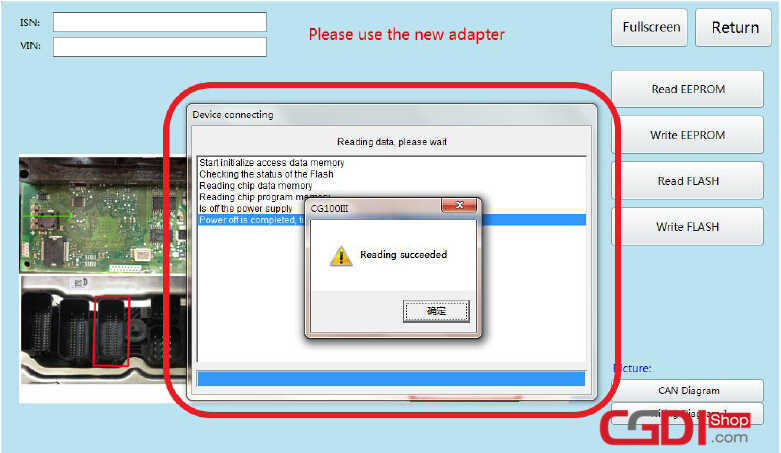 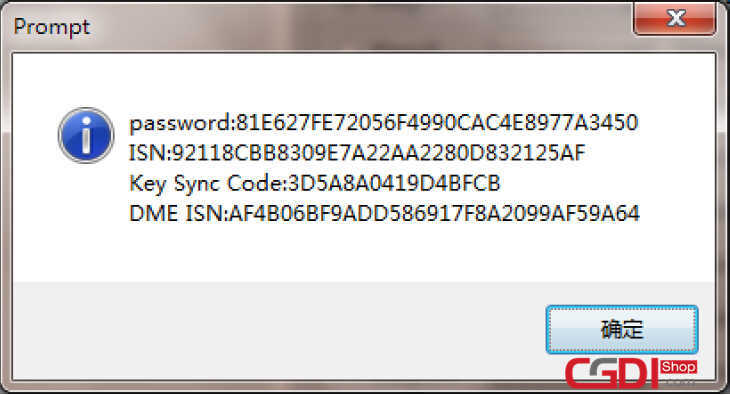 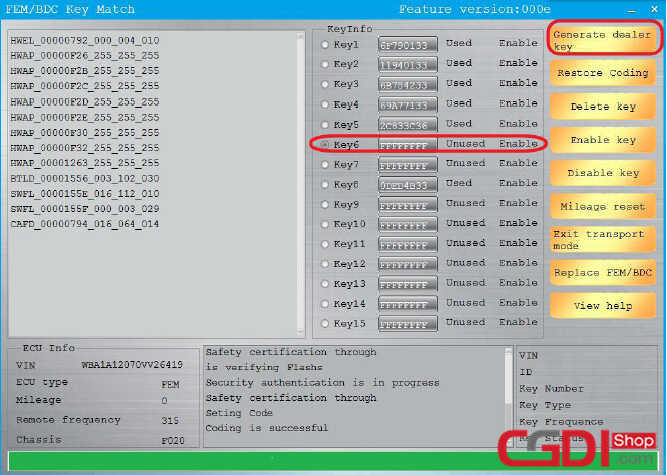 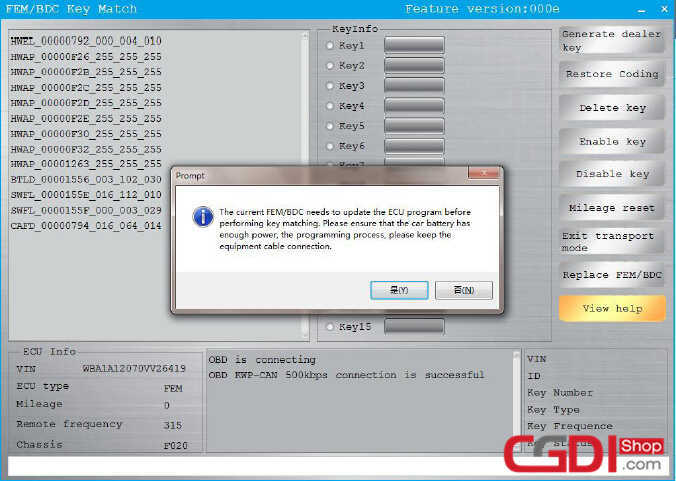 Then CGDI BMW Programmer software will prompt you new key programming successfully.